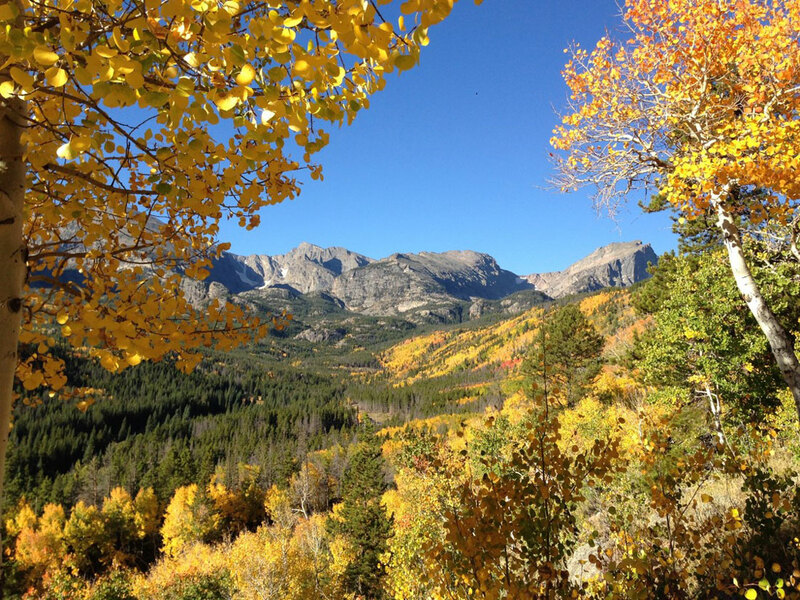 Fall is absolutely the best time to be in the Rocky Mountains. The air is crisp and cool, but not yet bone chilling cold. The sky is a cerulean blue so deep and so clear it almost takes your breath away just looking up at it. And the aspens. Those glorious, nervous trees with their white trunks and leaves that change from green to gold to orange and finally to red just before they take their last gasp and drop to the ground signaling the end of the season. In Colorado we know that when the aspens first start to turn it is time to get our houses ready for the onset of winter. We have our furnaces inspected, our chimney flues checked, restock our wood piles, add antifreeze to our cars and replace our regular tires with studded tires that give us more traction for driving in sleet, ice and snowy conditions. It is that time of the year again and we all take the necessary steps to prepare for what is inevitably coming, winter. There is a kind of satisfaction and comfort that comes from being in sync with the changing seasons of nature. It means we are accepting the inevitable changes in our lives and we are in a kind of karmic flow with the universe. We are, as Wayne Dyer used to say, gently rowing our boats down the stream, rather than raging against the tides and currents when we try to row upstream. Although nature reminds us of the impermanence of life and warns us that winter is on its way, all too often we ignore those signals when they pertain to our own impermanence, our mortality. Whether the signals come in the form of a serious medical diagnosis, or the inevitable wear and aging that our bodies experience, or perhaps from an injury, we need to have the essential conversations with our loved ones that will allow them and us to be prepared for the end of our own season on this earth. We need to put our affairs in order so that when our last leaf falls, those who survive us will be at peace with our passing, just as we are at peace with the end of the fall season. This is a practice that is seen as essential by professors at the University of Washington’s Masters In Community Leadership Program. Under the direction of Michael Hebb, they have created a program called Death Over Dinner where they provide talking points and ice breakers to encourage families and friends to have these essential conversations. Free kits are available from their website, www.deathoverdinner.org. The work was inspired by the fact that although 75% of Americans say they want to die at home, only 25% do. How we end our lives is the most important and costly conversation that Americans aren’t having. Their suggested format is to invite your loved ones to a dinner party, and use the comfort and informality of a congenial gathering to broach subjects that may otherwise be taboo. At our free, two-day Loving Spirit Workshops, www.lovingspiritworkshop.com, specific parts of the program encourage our participants to look seriously at their end of life issues, whether they involve planning for their funeral, writing their obituaries, or resolving anger issues they may have with family members. Our experience has shown that while the participants may first feel a bit surprised or resistant to such an assignment, after working through it they report a sense of calmness and comfort with having gotten clear with themselves about these essential issues. Under what circumstances, if any, would you want to be resuscitated if your heart stopped? Do you want to be buried or cremated? Have you taken care of the arrangements already? Have you prepared a will and left copies where they can be easily located? Would you want a funeral or memorial service? If so, are there specific things you would want to be said or done? Do you want to donate your organs to others? Have you completed the necessary donor forms to make this happen? Most states offer this option as part of the drivers license renewal process. Have you written your obituary? Did you make a list of the newspapers where you would like it to be published? Do you have a list of all your banking or savings accounts, safety deposit boxes, or other matters that your heirs will need to access? Have you considered having joint accounts with them so that they can access the funds immediately upon your death? Have you created a list of persons to be notified when you die? Did you include their contact information and how you knew them so your survivors will be able to quickly connect with them after your death? I first experienced the positive impact of having such essential conversations many years ago upon the death of my father-in-law. He lived to be 86 and was a widower for the last twenty years of his life. He was a professional musician and had spent many years traveling and performing with bands. Just before he died he told the family that he had taken care of everything. We found that to be an understatement when we looked in his top desk drawer soon after he died. He had made lists of everyone who should be notified, including their contact information and how he knew them. He had left keys to his safety deposit box, with the contact information of his banker and his account numbers. He had picked out the music he wanted to be played at his funeral. He pre-ordered the casket and pre-paid for all the burial expenses. His insurance policy, social security card, and birth certificate were also in that desk drawer. His favorite suit was dry cleaned and hanging in the closet. And he had also written his own obituary, all we had to do was fill in the date. We were devastated by his death, but our loss was made less painful by his care and thoughtfulness. We knew exactly what his wishes were and implementing them was so much easier because he had not been in denial about his own mortality. Even though our family members may be in shock or traumatized by our death, their ability to integrate the loss and bounce back from it can be greatly enhanced by attending to such difficult issues in advance when there is no crisis in play. When C.S. Lewis’s famous character, Charlotte, the spider, knew it was time for her to die, she wanted to have an essential conversation with her friend Wilbur, the Pig, to thank him for his friendship. Wilbur, spurred by her acknowledgement of her own mortality, took great care to save her egg sac and preserve it until the new spiders could be born. This children’s classic presents the notion of essential conversations in a non-frightening way that allows even young readers to accept the limitations of physical life and the reality of death. Don’t we owe our friends and family the consideration of broaching this once taboo subject with courage and forthrightness, even humor? If you decide to have these essential conversations with your family and friends we would love to hear about it. Please share your experience with us at Loving Spirit by emailing them to Dayle@lovingspirit.info. With your permission we may even publish them.